Camp Dogwood is devoted to enhancing knowledge about your dog, the bond between you and your dog, and the role of dogs in our community. Our staff members are experts in their field and each one helps to further the mission of Camp Dogwood, while emphasizing the use of positive reinforcement training methods, the relationship between dog and owner, and FUN! We are fortunate to have many of the same core staff members since Camp Dogwood started in 2001! Camp Dogwood carefully selects staff that are as passionate about dogs as we are. In addition to training, many of our staff members are very involved with rescue groups and community organizations that benefit animal welfare. Alysa Slay, Psy.D, is quite familiar with terms like “behavior management,” “positive reinforcement,” and “shelters.” She has a doctorate in Clinical Psychology and currently works as the Director of Psychological Services for a child welfare agency, as well as a consultant in the Clinical Division of the Illinois Department of Children and Family Services. 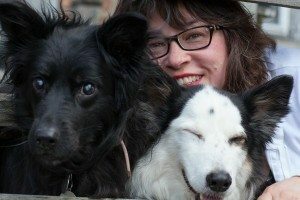 With over 20 years of experience working in, and consulting to, many summer camps for children, Alysa is excited to bring the “joys of camp” to dogs and their human companions. Alysa’s prior camp experience and knowledge of behavior has served as a strong foundation in the development of Camp Dogwood. Over the years, she has discovered many parallels between children and dogs. Primarily, both groups thrive when given love, opportunities for play, positive attention, clear communication, and a consistent environment. Alysa is a regular contributor on pet care to Scoop, the online magazine for Abe’s Market, she writes the monthly column, “Around the Water Bowl,” for the Highland Park Landmark newspaper, she has collaborated with a public relations firm on the incorporation of pet events into larger community events, and she created the therapy dog program, Field Dogs at the agency where she works. She derived unparalleled joy and inspiration from her long-time furry friend and forever camper, Forrest. Long may you run little man, long may you run. 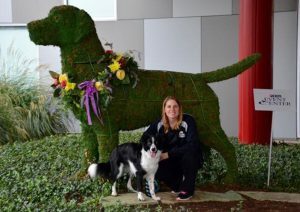 Her current dog “love” is Stella Blue, an Aussie mix who loves agility, K9 Nose Work, and cuddling. 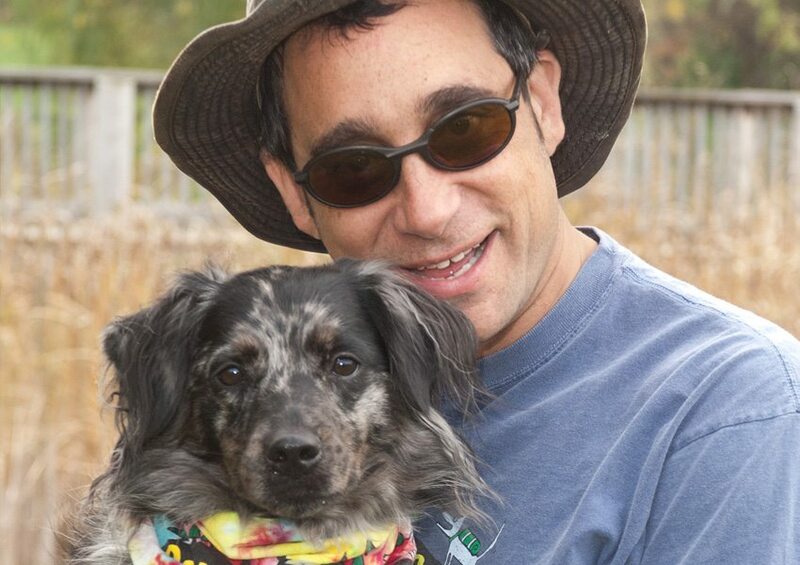 Dave Eisendrath, Co-Founder of Camp Dogwood was co-director through 2016. 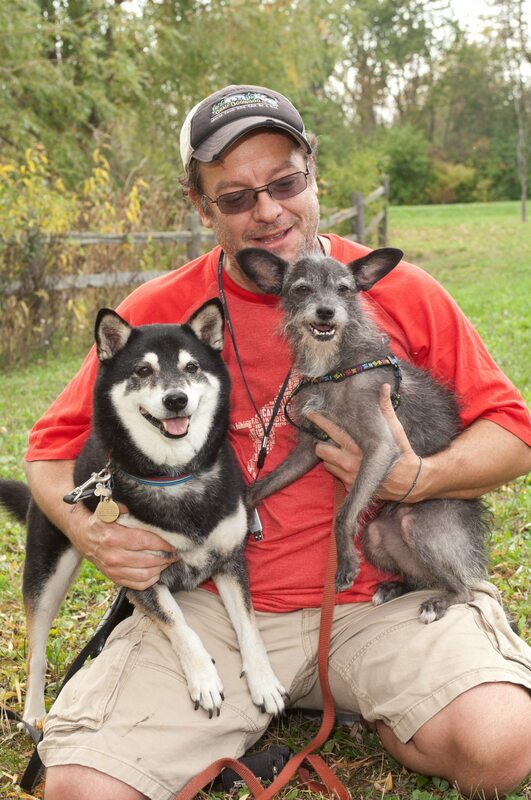 He was an important part of the development of Camp Dogwood, along with his dogs Muddy, Shazaam, and Speck. Dave went onto pursue other adventures in 2017, but his presence at camp is felt through the creative touches he left behind. I am so excited and honored to offer Agility classes at Camp. My classes are fun! Dogs love them. People love them. And, it is my desire to ignite your fire for the sport that drives my passion. I’ve been enthusiastic about agility since my first experience as a Dogwood Camper back in 2005. Today, there is nothing more rewarding to me than hearing a Camper say they started taking agility classes because of their experience with me at Dogwood! 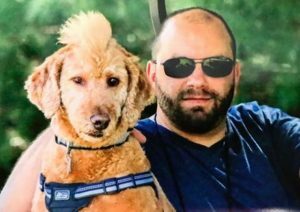 For the past eight years, I have been specializing in beginner’s agility classes; initially, as an assistant instructor under one of the absolute best Agility Coaches in the Chicago-area and for the past three years under my own label: A Devoted Companion. I share my life with my best friend and husband of more than 33 years, Loren. Together, we have four active dogs, one sweet cat and five feisty chickens. I actively compete in agility with Kiss the Skye (Griffin) MX MXJ CGC. Recently, I retired MACH I Ain’t No Saint (Louie) CDX MXB MJB. I look forward to our time together at Camp. If you’d like one-on-one training, you can find me on the agility field… or the dining hall. 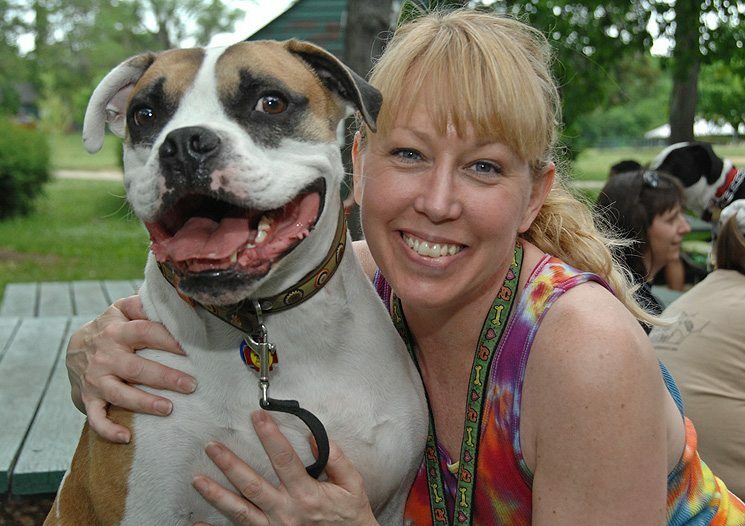 Debbie has been helping people train their dogs in Chicago since 1999. She is an honors graduate of the Academy for Dog Trainers headed by world-renowned trainer & behavior specialist, Jean Donaldson. She received her CTC (certification in training and behavior counseling) from the Academy in 2000. 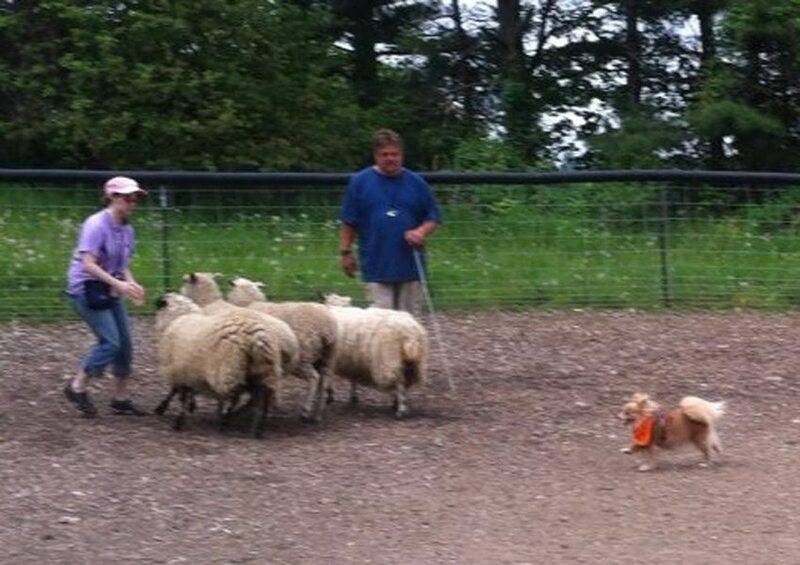 Debbie teaches a wide variety of classes ranging from puppy to advanced, agility to tricks. 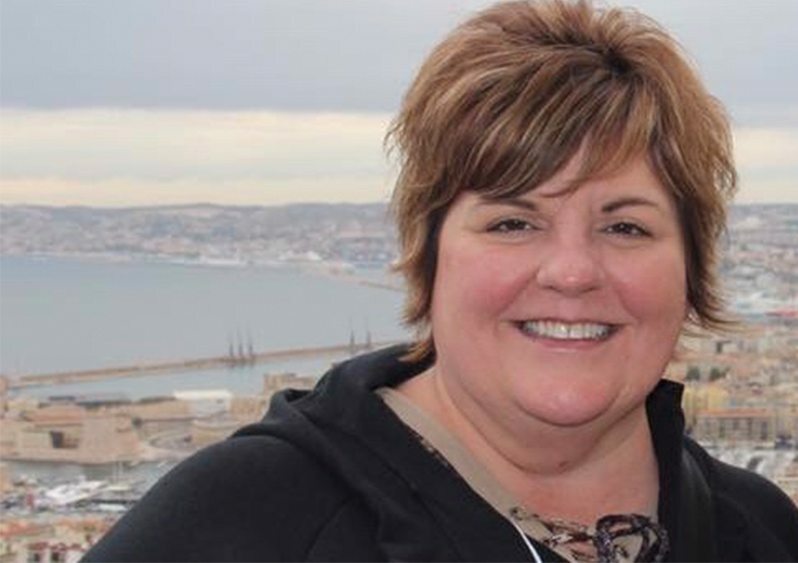 She is proud that for each of the last five years that the publication – ‘Chicagoland Tails’ held their ‘favorites’ contest, their readers voted her as one of their ‘favorite’ trainers. Debbie is a proud member of the APDT, the Association of Animal Behavior Professionals, the Pet Professional Guild, and the National Association of Treibball Enthusiasts. She has trained past clients dogs and her own dogs in the sports of agility, flyball, canine disc, canine freestyle, rally obedience, nose work, weight pulling, and Treibball. Her rescue dog Ludo is training in many sports, has acted in commercials, and makes a great demo dog in her classes. 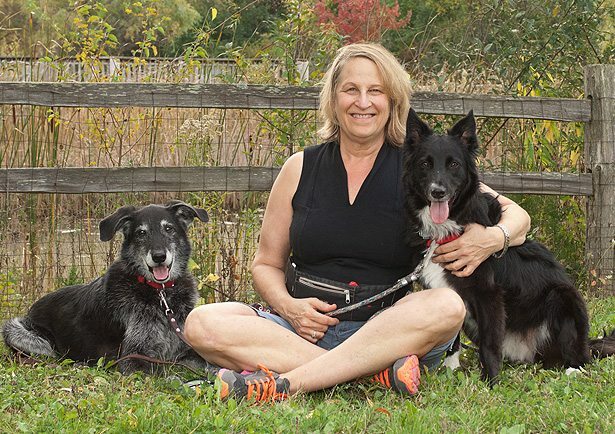 Debbie is excited to be the first and currently only trainer in Chicago to become a Victoria Stillwell Positively Dog Training – licensed trainer, a team of trainers handpicked by Victoria who use only the most up-to-date, humane, effective, reward based methods. 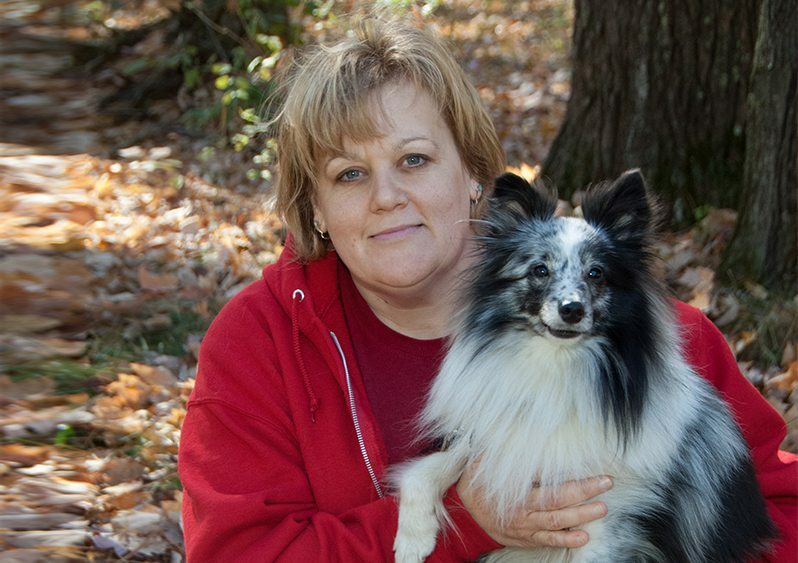 And in her spare time, Debbie likes to hike, camp, garden, and hang out with her dog Ludo. Al married into the “Dogwood Family” in 2011, when he married Alysa Slay. The two of them first met while working at an overnight camp for kids. Al has been a long time visitor to Dogwood, going back to the inaugural session in 2001. Outside of camp, Al is an electrician for ALSTE electric, and he always makes sure to have dog treats in his work truck for his customer’s dogs. At camp Al can be seen doing a little bit of everything, driving around in the golf cart to move equipment or give campers a lift, showing people to their rooms/cabins, setting up signs, pretty much doing whatever needs to be done to help out Alysa and Dave. In addition to adding a wife to his life, in 2011 Al and Alysa adopted Stella Blue. At home, Al and Stella can often be found napping on the couch together for hours at a time. Everyone’s favorite Canteen Coordinator is back again with a little something new for everyone. Mother to a Camp Dogwood founder, and a fan of all the dogs that come attached to that distinction, Sharon has been with us at every past Camp Dogwood session and seems like she’ll be here at all in the future. With an occasional duality, you might find her at Arts and Crafts helping create a plaster paw or two, but wherever you find her, she’ll have a smile, something nice to say…and maybe even a gigantic chocolate chip cookie. Thanks to Sharon for making the Dogwood Canteen all that it is today. 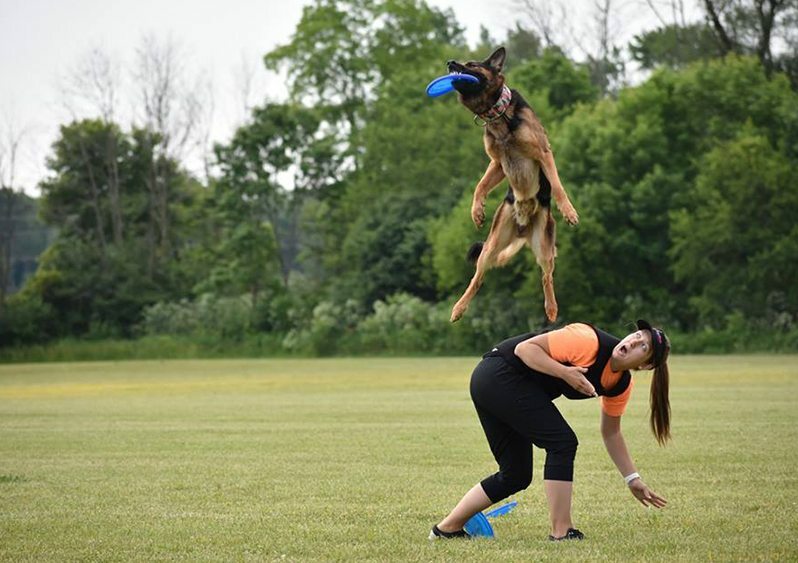 Danielle has been training dogs professionally for 6 years, and competing at the worlds level in k9 disc for two years, with another year or two prior at a hobby/novice level. Her training methodology is based in positive reinforcement, marker/clicker training, proper foundations, safety, and engagement as the ground level for all training, including sports. She has managed a puppy day school, and taught classes in impulse control, focus skills, basic obedience, rally, nosework, agility, dock diving, and disc. She raised a Service Dog from 8 weeks of age, covering all public access for an organization. He grew up to be paired with and trained for a deaf woman and is currently working in Florida. Danielle moved to Missouri just a year ago to be closer to disc opportunities for competition/travel/training. She is a certified judge for UpDog Challenge and tries to host a few competitions a year. She is a multi-year world qualifier with numerous dogs in numerous disc organizations. Her favorite accomplishment was qualifying with her dog Patton in 2016 to compete in St. Louis at the Purina Pro Plan Incredible Dog Challenge, which aired on national television directly prior to this year’s Super Bowl. She is the relief trainer at Purina Farms for show performances. Danielle owns three dogs, a 3 year old intact male German Shepherd who is her “main” competition dog, a 4 year old neutered male Border Collie and an 11 week old French Bulldog. 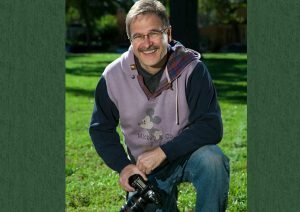 Gary Gantert has been a professional photographer in the Chicago area since 1983. 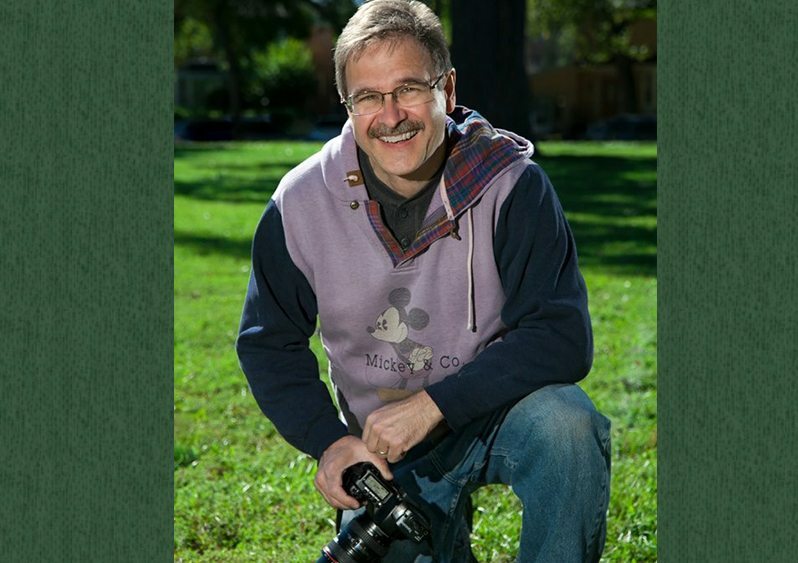 He received a Bachelor of Science Degree from Rochester Institute of Technology in Professional Photography. He loves to photograph dogs, has always had one for a subject and companion. Carey has been involved in dog sledding and dog weight pulling for the past 14 years. His first weight puller was a Siberian husky named Czar, Since then he has trained and worked with 5 other dogs and taken them to the national championships. Weight pulling and dog sledding are 2 dog sports that go hand and paw with Carey. The weight pulling and dog sledding people in Dupage county know Carey as a hard worker with the people and the dogs. He has devoted 14 years of a many cold Saturday mornings to the training of dog sledding and weight pulling. 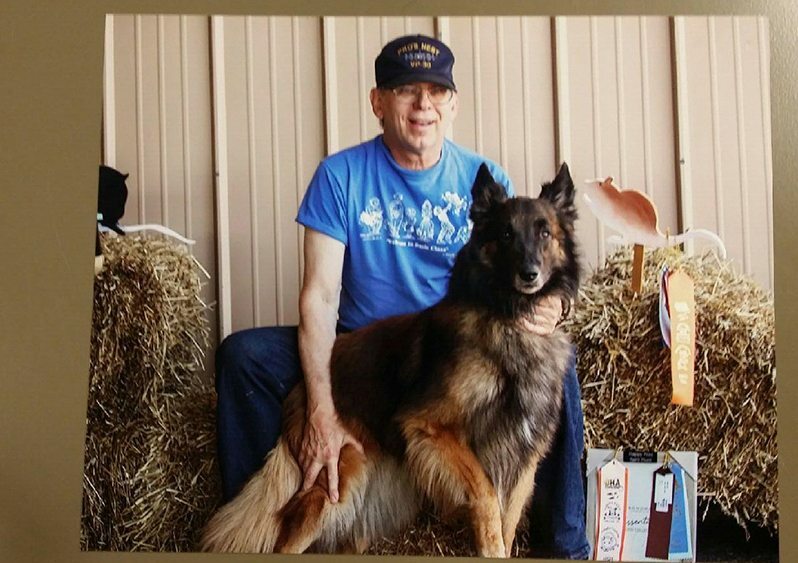 Carey started and maintained a group of dog lovers called the Green Valley Dog Drivers. Carey is a judge for the IWPA (International Weight Pulling Association). When not with his dogs he is running a distribution company he owns called Alkay Industries Inc. selling Nut’s and Bolts and industrial supplies. Carey was brought into Dogwood last year by Kathleen Sanderson. After his first time, he was hooked. This is just what he need to relax and enjoy all the things he loves about camping and dogs. The campers and their dogs are the best part of Camp Dogwood. 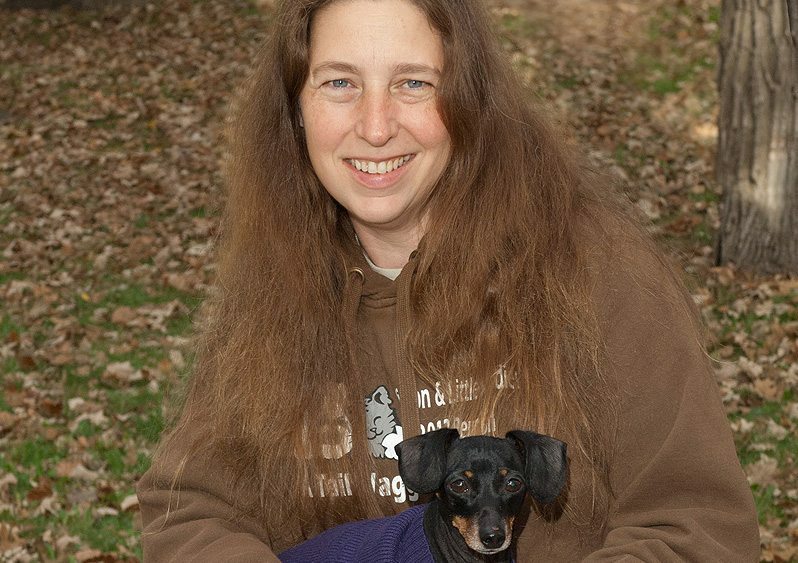 Cheryle is a Certified Animal Behavior Consultant and Certified Professional Dog Trainer from the Association of Professional Dog Trainers; she is also a graduate of the Karen Pryor Academy. The end of this year she will complete her Masters Degree in Applied Behavior Analysis and Animal Consultation (a five year Graduate program in animal behavior). She also is an Associate Nose Work Instructor soon to be certified. 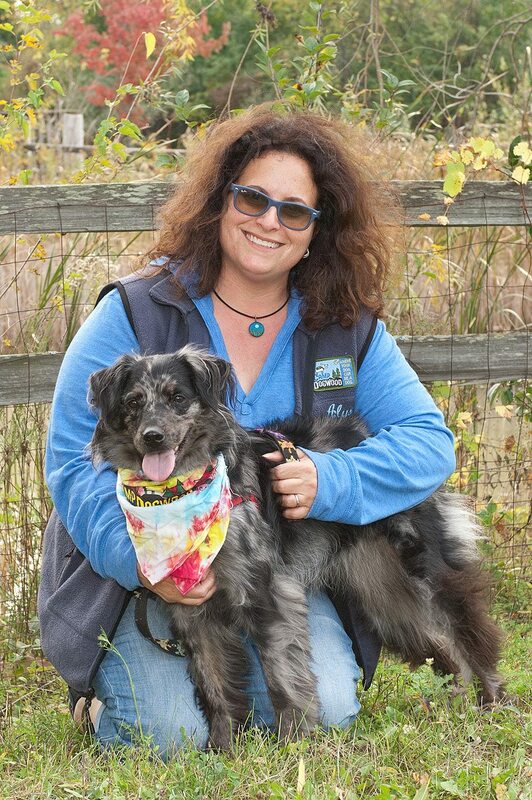 Cheryle has been professionally training dogs for over 13 years and has taught many classes and seminars on various topics related to animal learning, training and behavior. Cheryle teaches several classes and her specialties are: Canine Freestyle Dance, K9 Nosework, and preventing and resolving behavior problems. She is on the advisory board for the World Canine Freestyle Association. 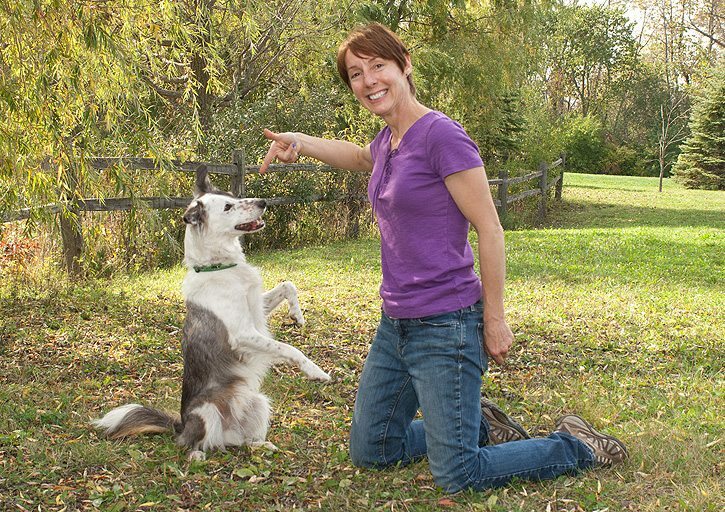 Cheryle and her dog Holly have performed freestyle dance demonstrations at many locations around the country. Cheryle believes that having a great bond with your dog is the secret to having a great canine companion. She incorporates fun and games in all of her classes. She also believes it is important to mentally challenge your dog so they can learn to problem solve and enjoy the learning process. Jessica is an Evaluator for American Kennel Club’s (AKC) Canine Good Citizen (CGC) certification, AKC S.T.A.R. 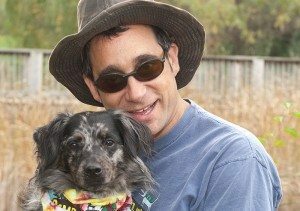 Puppy Evaluator, and a Full Member of the Association of Pet Dog Trainers (APDT). Jessica has experience working at both an animal emergency center and an animal rehabilitation center (physical therapy for dogs), but she eventually found her way to teaching others how to train their dogs. Over a span of 4 years, over 800 families and their dogs from all walks of life attended group classes and private lessons seeking help to be the best dog families they could be. Each family walked away with a deeper bond and understanding of how their dogs think and learn. 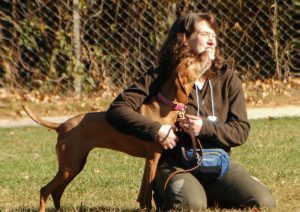 Jessica’s passion for dogs shines through in her training style and she brings a level of enthusiasm that is contagious. 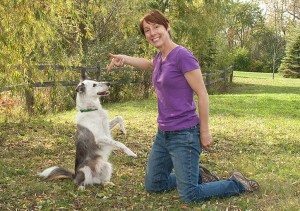 Her training style is fun and interactive because “dog training” is as much about training the dog as it is about training the dog’s family so that everyone is effectively communicating and having a good time. While training others, Jessica continues to compete with two of her own dogs (Thai Ridgeback, Sunee, and Bulldog, Pugsly) who have earned numerous titles in both Obedience and Rally. Pugsly is also the only bulldog to attend the March 2013 Rally National Competition in Tulsa, Oklahoma placing 6th (198/200 points) out of 89 dogs (all breed) in the class. Dr. Lisa Kluslow graduated from the University of Wisconsin Veterinary School in 2001 after going back to school after working for 6 years in habitat restoration (mostly prairie and wetlands). 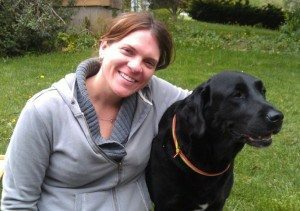 After several years of practicing conventional veterinary medicine, she realized that she would be able to better serve her patients by learning some of the integrative modalities. Dr. Kluslow focused her energy pursuing additional education in the holistic veterinary alternatives including: natural nutrition and supplementation, acupuncture, massage, veterinary spinal manipulation therapy (a.k.a. chiropractic in human medicine), canine physical rehabilitation and essential oil therapy. 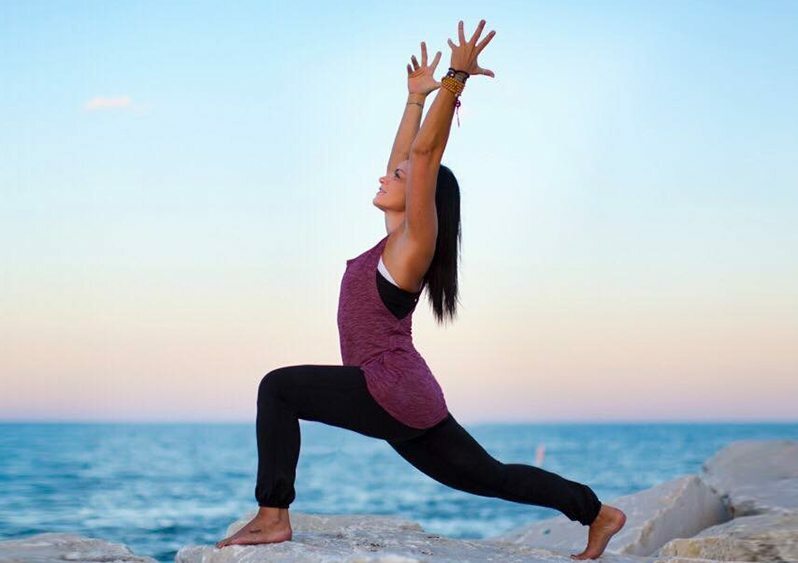 She has taken certification classes in acupuncture, physical rehabilitation and spinal manipulation (chiro), as well as additional training in natural nutrition, massage and reiki. Dr. Lisa currently works at the Silver Spring Animal Wellness Center (Milwaukee, WI). She is the current chairperson of the Wisconsin Veterinary Medical Association’s Animal Welfare Committee. Dr. Lisa started as a Camp Dogwood camper with her beloved Bridgette (RIP), the Great Dane, eventually she moved on to become the Winter Camp vet, and now we are so thrilled to have her as our year-round camp vet. 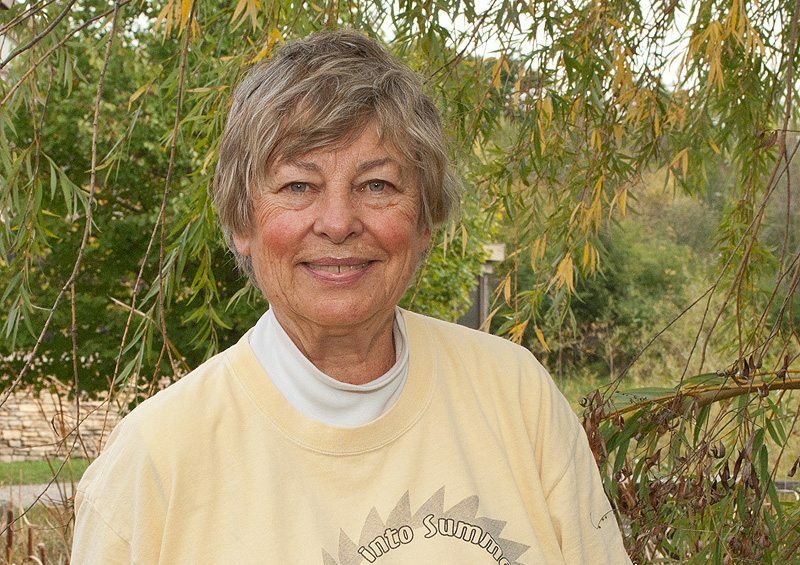 In her free time, Dr. Kluslow gives presentations on the holistic alternatives to different animal related groups. She also spends as much time as possible enjoying the outdoors with her family, friends, husband Jeff and Grace their beautiful German Short Hair Pointer. Susan has been doing bookkeeping for a variety of small businesses for over 12 years. She has had dogs all her life and loves being able to integrate work and play by bringing her dogs to camp. If she cold be a dog, she said she would definitely be a mixed breed dog, because that is what she loves. A mix of Spinone Italiano because they are so damn cute and something small. She would want to be about 35 lbs. 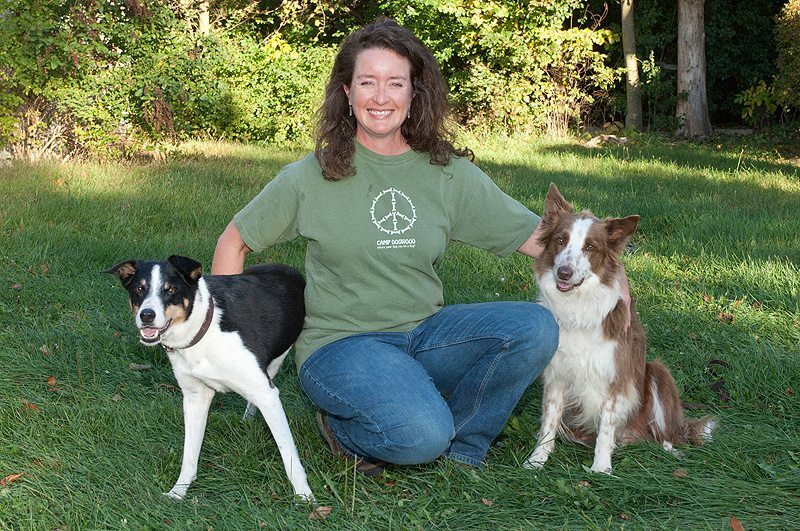 Tresa has been using holistic methods to help her animal family of dogs & cats since 2000. In 2006, she founded Speak to the Earth in order to help bring harmony, peace & understanding to your life and to the animals that share it. In her private healing practice, she uses animal communication, medicinal aromatherapy, Reiki, flower essences, crystals, shamanic healings, and other natural options to compliment the journey you are taking with your animals by your side. In addition to Animal Communication, Tresa offers Medicinal Aromatherapy Consultations and is an Ayurveda Health Counselor. 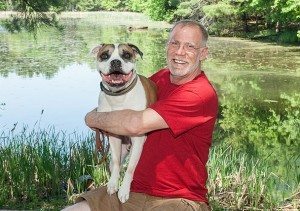 At Camp Dogwood, Tresa offers private Animal Communication sessions and classes on natural healing options for you and your canine pal. She has helped many human/dog teams approach their lives with a newfound compassion and understanding for each other. 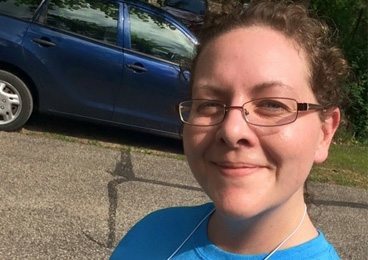 Melissa is originally from Milwaukee, but currently resides in Brookfield, Wisconsin. She is looking forward to joining us at camp, meeting new people and their dogs; learning about where they are from and how they like to spend their free time. She’s most looking to watching the dogs learn different sports and see the bond between them and their owners. She is currently training and competing flyball and agility. For fun she also takes her dogs lure coursing, dock diving or swimming, and occasionally herding. Her flyball club has been the division champs for a national flyball tournament 4 years running. Outside of sports, Melissa likes to go hiking/walking with her dogs. Pets * People * Portraits… Renny Mills has been working in Chicago for the past two decades. She volunteers her time and helps out with many organizations like German Shorthair Pointer Rescue, Chicago Canine Rescue, Inspiration Cafe, Boys & Girls Club of Chicago & also she donates portraits to many organizations. Renny’s approach is artistic and nurturing which leads to a very conducive studio environment, for it is not the image that is captured but rather the… “Portrait of a Soul… the upturned lip, the sparkle in their eye, the loving glance as perfectly tilt their head. I reach for the camera and the moment is lost. There will be other moments. I utilize the lens, not to enhance the image, rather to magnify the soul. For this is the essence, this is my companion. Find the Camp Dogwood photos after camp at: http://rennymillsphotography.zenfolio.com. 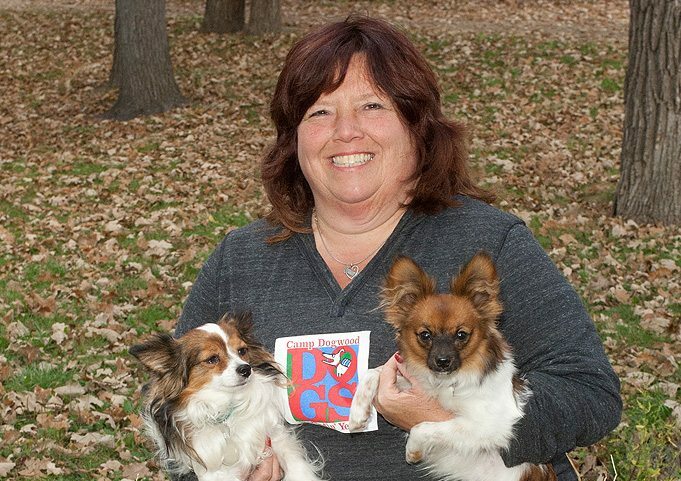 Patti is a certified trainer through the Association of Pet Dog Trainers and the Animal Behavioral College. 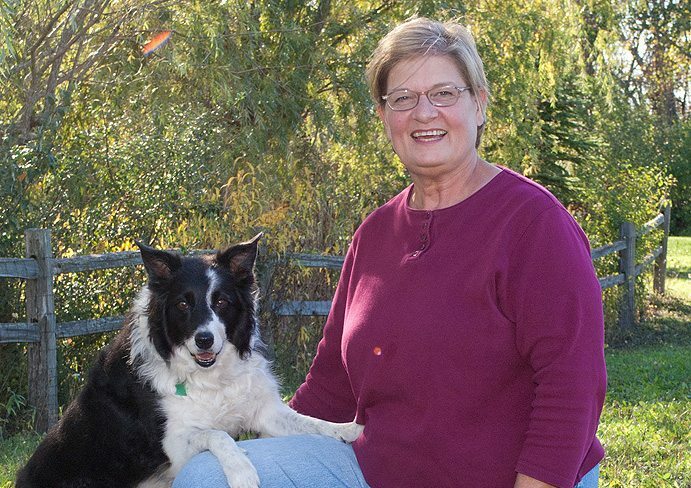 She has been an instructor for dog behavior and obedience for over 30 years. 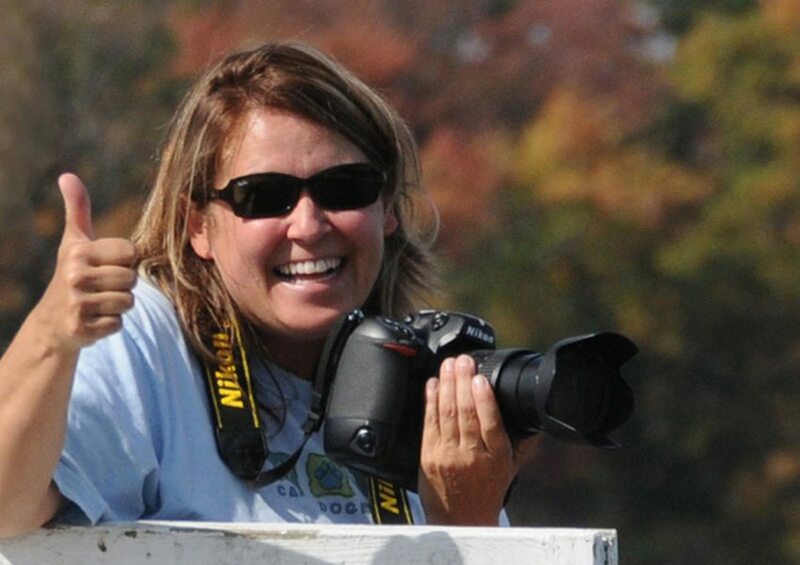 Patti has also worked in animal control and animal welfare. She has her own business, “For Pet Sake Dog Training” in Mukwonago, Wisconsin. Patti shows in obedience, flyball, freestyle and agility. Her Bichons have been in the top “10” in the country for Bichons competing in these areas. She and her fun loving Bichon, Kirby, LOVE dog camp! As an inaugural Camp Dogwood is so happy to have Karen O. back to camp. We have missed her. In addition to being an extraordinary Good Dog Bone reader at meals, she brings a wealth of experience and knowledge to camp. I worked in the private sector of animal welfare for thirty years. I gained an enormous amount of experience and knowledge during that time. I also found my passion in work — helping people help their companion animals. I currently instruct group dog training classes and offer in-home private consultation to dog and cat guardians. I love doing this. Love it. I enjoy the connection to people. Yes, I am one of those “animal people” types who actually likes the person in the human-animal relationship, as much as the animal! For me, seeing “the connection” happen and then develop between an animal and its person is what my passion is all about. It’s what feeds me. It motivates me to reach for more, to continue learning, to never stagnate. I know how lucky I am to do what I love. Every training class, every consultation, every time I am able to interact with people and their companion animals, I am as excited as the first time. Tammie Riepe is a professional pet groomer, opening her own business after completing grooming school in 1993. After being located in Muskego, Wi for 15 years, she recently moved her pet spa to Mukwonago, Wi to enable her to be located next to Bichon and Little Buddies Rescue. When Tammie isn’t giving pets a spa experience, she is helping those dogs needing homes. Tammie’s other interests are also dog related, recently starting Earthdog Trials with her rescue Dachshund, Tiny. Tammie shares her home with her husband, and 5 dogs, including the wonder Dachshund, a rescue Mini Poodle (Buddy), a rescue Husky/Golden mix (Storm), and 2 older Tibetan Spaniels (Chip and Spicy) that are now retired from agility competition. Julie Thompson has been a massage therapist for seven years. This is her fifth year with Camp Dogwood. Julie has established Peaceful Planet Wellness, a massage based practice in Chicago, and also works for the Cortiva Institue of Massage Therapy in admissions. She believes that therapeutic massage should be effective, affordable, and accessible to everyone. John has always preferred to help others train their dogs, rather than just take the dog and train it for them. He’s a believer that he can help the dog better if he works closely with the owner, helping them work as a team. He’ll step in when needed, but also step back whenever he can so you can train your own dog. He is available for lessons most days of the week. You can call or email John about private lessons. He’ll let his students work some of his own dogs so they can get the feel of a trained dog. This helps you find that “Feel” in your own dog. Camp Dogwood is thrilled to be working with John close to our Lake Delton facility. His Big Yello Boots farm is picturesque and a fun place to experience, virtually on top of the Cascade Ski Mountain, where he not only makes the snow in the winter for skiers, but his sheep graze there during the summer months to keep the grounds in order. Working with dogs, started for Jean with obedience and schutzhund training when she was Military Police Officer. Over the next 35 years, Jean has always had some sort of canine friend, with her primary focus whenever bringing a new pup into the family being obedience… but that lead to showing in Conformation, tilting out in AKC Rally, TDI, tracking under the direction of Susan Eldred and so much more. She began weight pulling in 2010 when introduced to the sport by her Mastiff breeder. Jean’s philosophy in regards to canine training is more learning to communicate with each other and teaching the dog carefully, to encourage a willingness to participate. Also, knowing different methods of training is useful as not all methods will work on every dog. 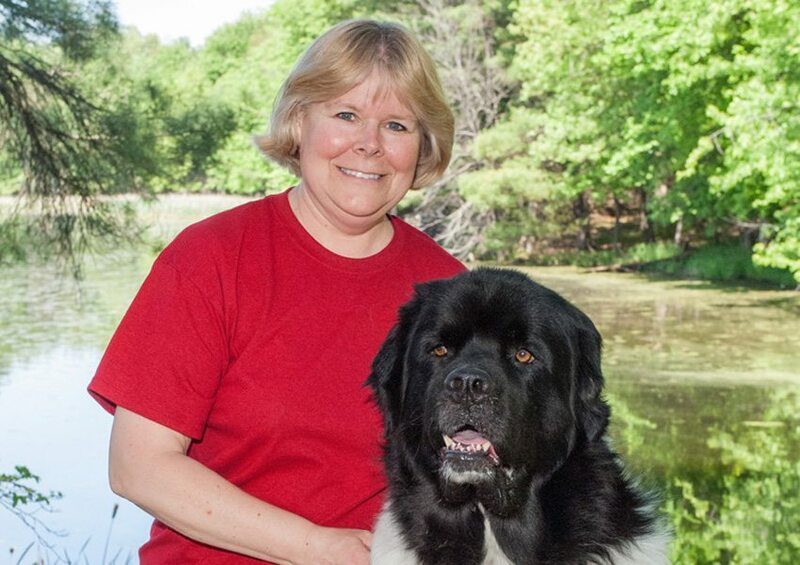 When not competing with Micky, her Landseer Newfoundland, Jean manages a medical practice in Petoskey, MI. She had her husband have been married for nearly 35 years after meeting while both were serving in the Army and stationed at Ft. Knox, KY. They have two married sons and have lived in Michigan for the past 30 years. This is Jean’s first time at camp and she is excited to help Carey Greene, share her knowledge of this sport and is eager to meet other working dog enthusiasts. Dr. Janet Veit joined Hillside Animal Hospital in 1996 after graduating from the University of Minnesota’s College of Veterinary Medicine. Originally from rural North Dakota, she received her Bachelor of Science degree in Biology from the University of North Dakota. 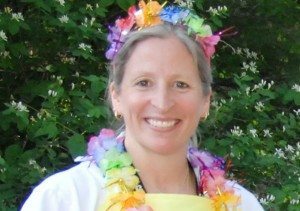 Dr. Veit shares her home with her husband Brian, as well as their four-legged children: Deacon and Angus are Pointers, Dora is a Vizsla, and Cassia is an Abyssinian cat. Their pets occupy much of their free time, as they are involved in dog showing in AKC conformation and hunt tests. Cassia, their newest pet, may also introduce them to the world of cat showing. Dr. Veit is also involved with many dog clubs, locally with the Coulee Kennel Club, regionally with several Vizsla and Pointer clubs, and nationally with the American Pointer Club and the Vizsla Club of America. Professionally she is a member of the Coulee Region Veterinary Medical Association, American Veterinary Medical Association, Wisconsin Veterinary Medical Association, Minnesota Veterinary Medical Association and American Animal Hospital Association. 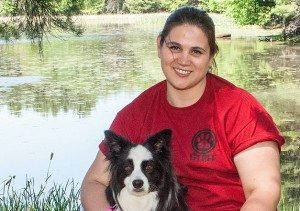 She teaches Pet First Aid classes for various organizations such as the American Red Cross and 4-H clubs and is also trained in Dog Bite Prevention education.